The $8.5 trillion global construction industry isn’t exactly known for its efficiency. It is estimated that 15% of materials delivered to construction sites end up in landfills, the result of mismanaged scheduling and purchasing. The American Institute of Architects believes building-related waste makes up anywhere from 25% to 40% of America’s solid-waste stream. With construction spending in the U.S. totaling $1.13 trillion this year, those losses add up to more than $160 billion in waste—and that’s just in America. For builders, the case for return on investment is straightforward. Drones are cheaper to fly than manned aircraft and faster than human surveyors, and they collect data far more frequently than either, letting construction workers track a site’s progress with a degree of accuracy previously unknown in the industry. 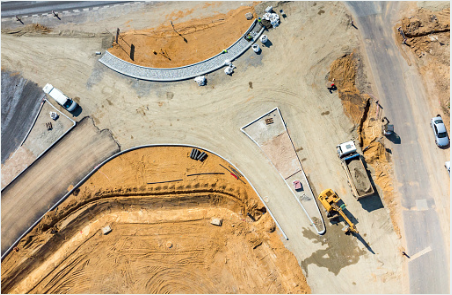 With the right computing tools, builders can turn sensor data into 3D structural models, topographical maps, and volumetric measurements (useful for monitoring stockpiles of costly resources like sand and gravel). Collectively, that intelligence allows construction companies to more efficiently deploy resources around a job site, minimize potential issues, trim costs, and limit delays. 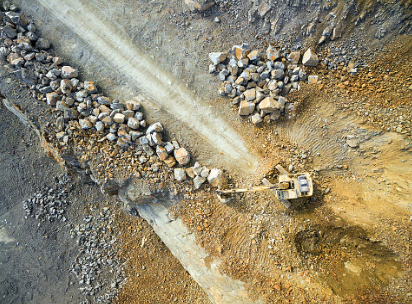 Apex Drone Imaging makes it easy to automatically calculate the volume of stockpiles of any type of materials, saving time and money, while increasing safety. The drones we use can be programmed to fly completely autonomously to capture the stockpile data in minutes. Our drones can fly a 100 acre site in less than 30 minutes, stopping only for a battery change. There is no need for you to do anything. We will handle all the backend business and provide you with the files you requested. Measure an aggregate stockpile in less than one minute, including the perimeter, area and volume for each stockpile. Sand, rocks, dirt or wood it only takes a few clicks to get accurate measurements. Contact us about Monitoring jobs to see what we can do for you! Please provide phone number for fastest reply!